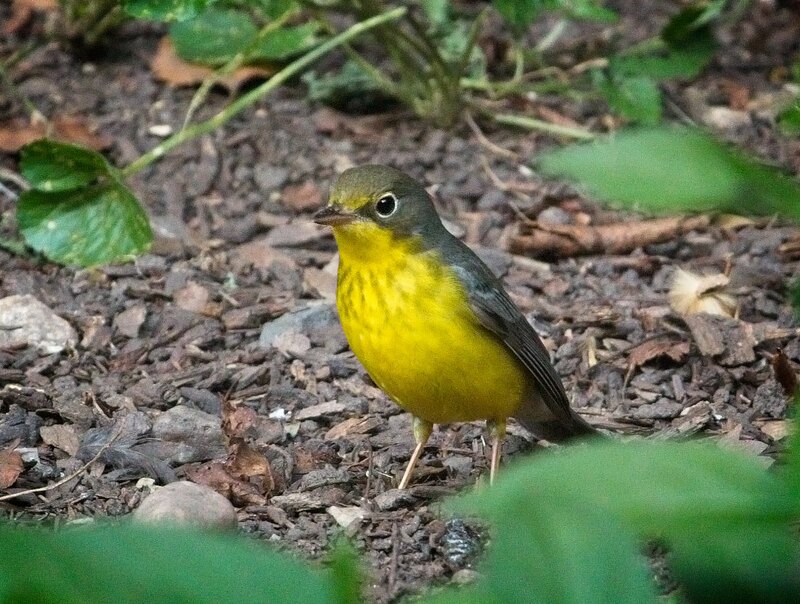 Fall bird migration across the city began a few weeks ago, with American Redstarts being some of the first travelers seen making their way south. Since then, many more have been passing through and below are a few recent highlights. 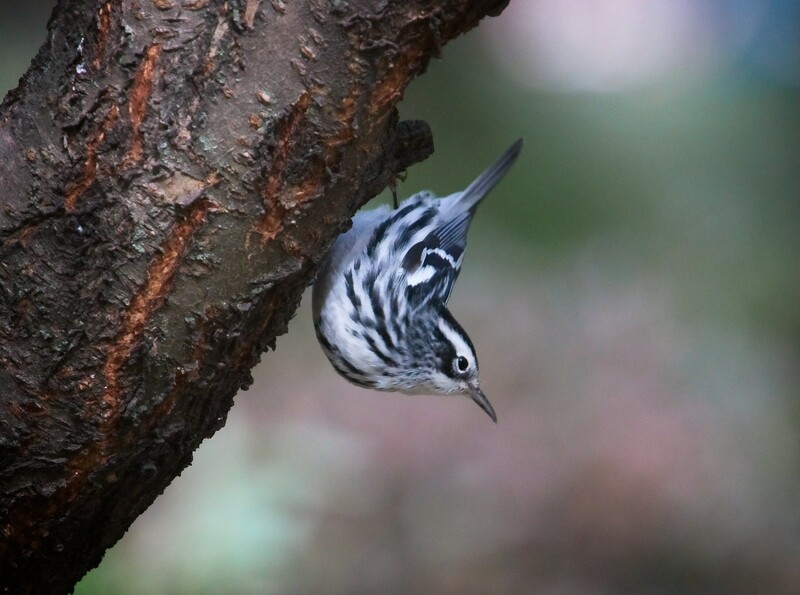 Black-and-White Warbler: This little bird could fly as far as South America. 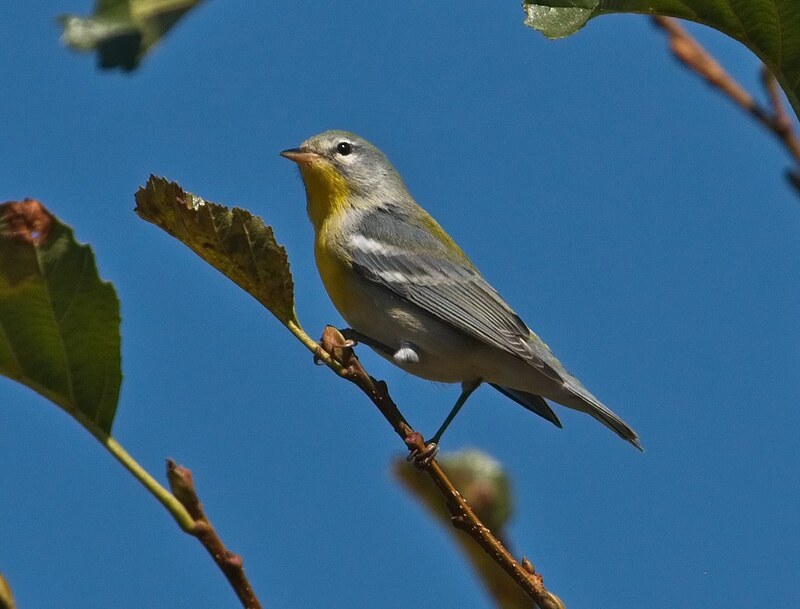 Northern Parula: This is one of my favorite warblers as they are so lively and colorful. This one is headed for the Caribbean. This is the same bird with a grub, fattening up for that long journey. 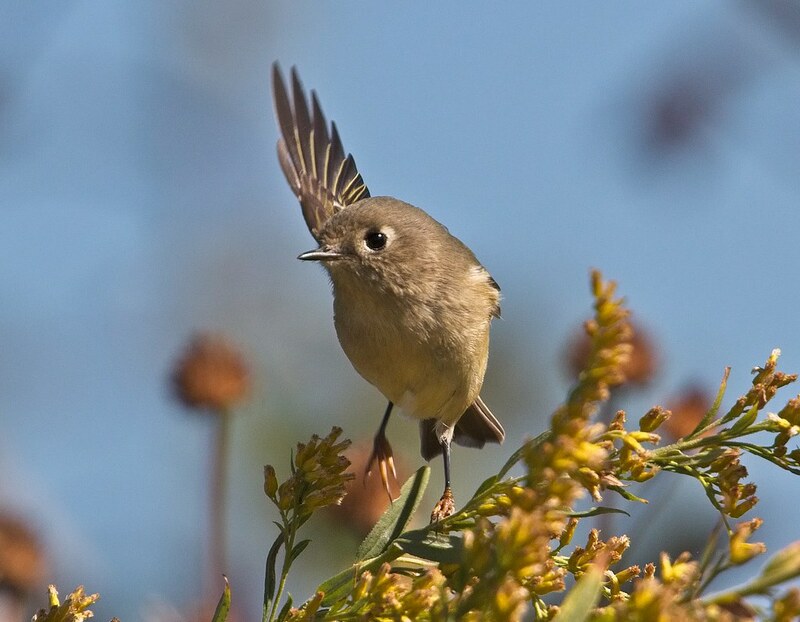 Ruby-Crowned Kinglet: This one might fly to the American southwest, or down to Mexico. 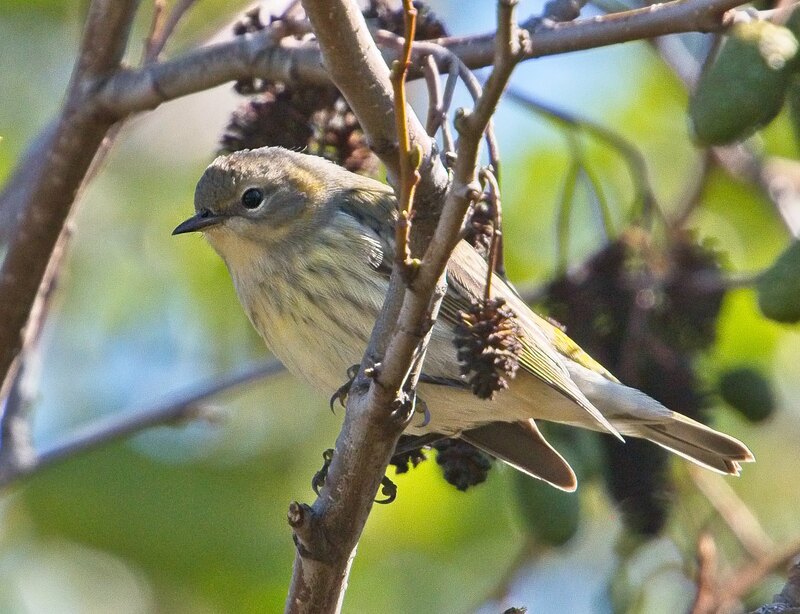 Yellow-Rumped (Myrtle) Warbler: This bird is also traveling southwest to warmer climes. 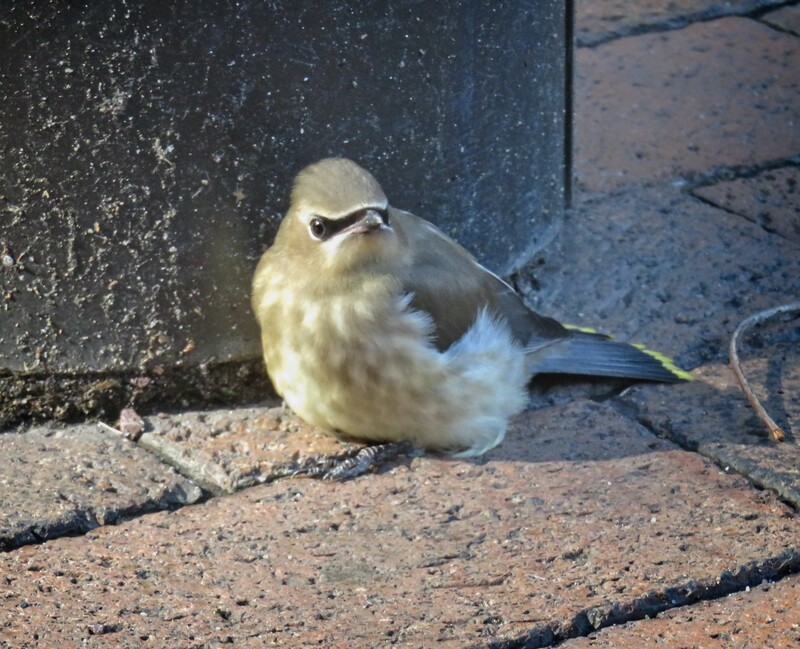 Cedar Waxwing: I found this young waxwing on a sidewalk. Flying through the city can be treacherous and way too many birds die after colliding with buildings. 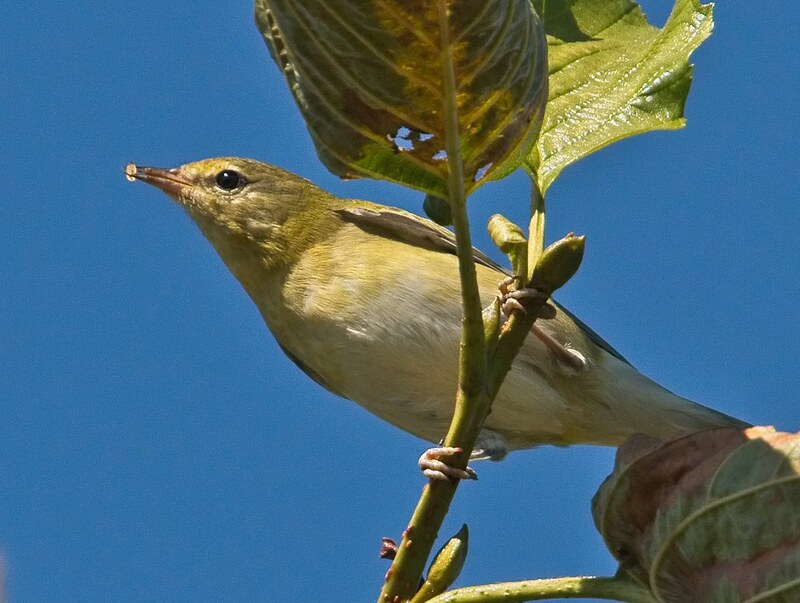 For more information on how to help, see NYC Audubon's Project Safe Flight page. I'm hoping this little guy is back on its way to Central America. 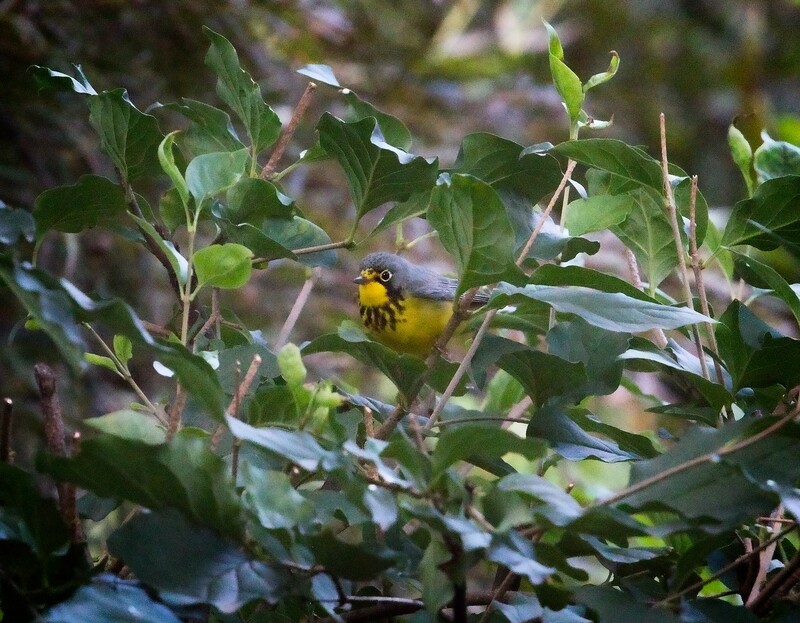 Canada Warbler: This female was foraging right at the St Mark's entrance to Tompkins Square Park. This is the male, a real stunner. These two could go as far south as Peru. 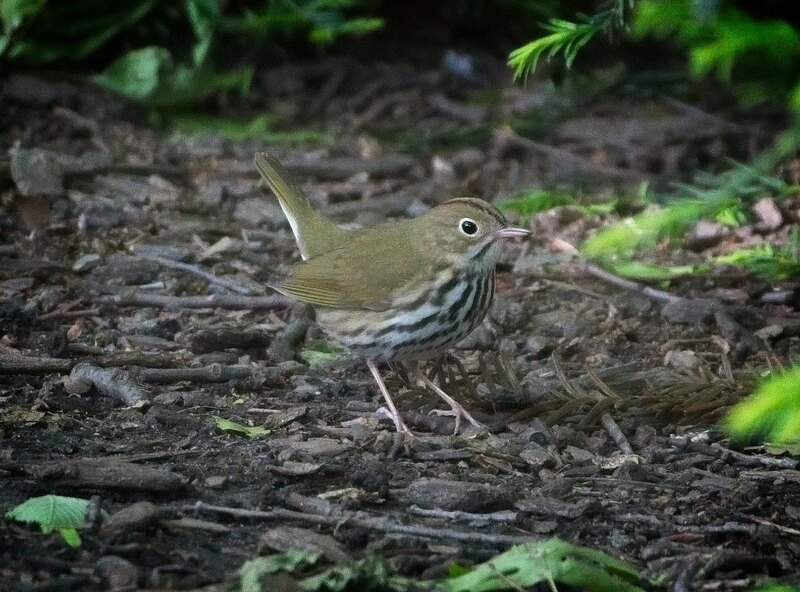 Ovenbird: This bird is headed for Florida or the Carribean while its counterparts on the west coast overwinter in Central America. 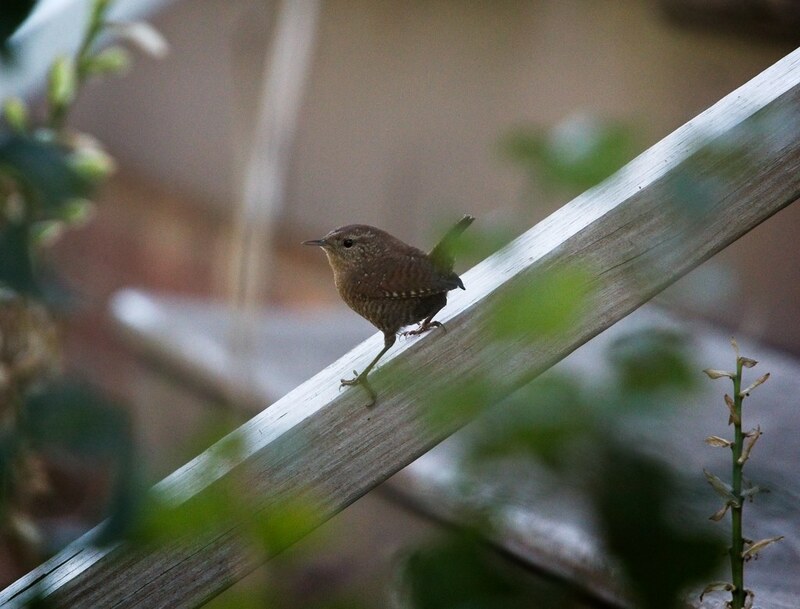 Winter Wren: A year ago, I was excited to see one of these in Tompkins Square. I found the one below on Governors Island, on its way to the southeast. 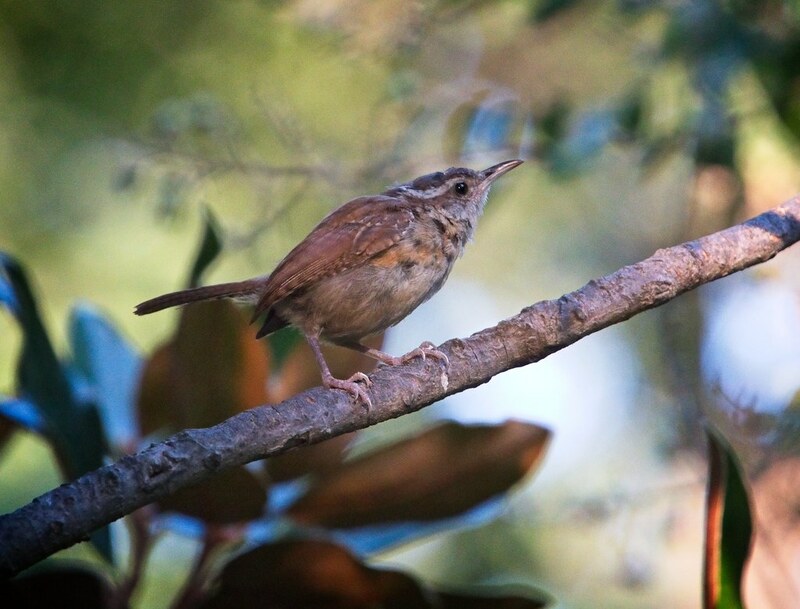 Carolina Wren: This little wren is also heading to the southeast. 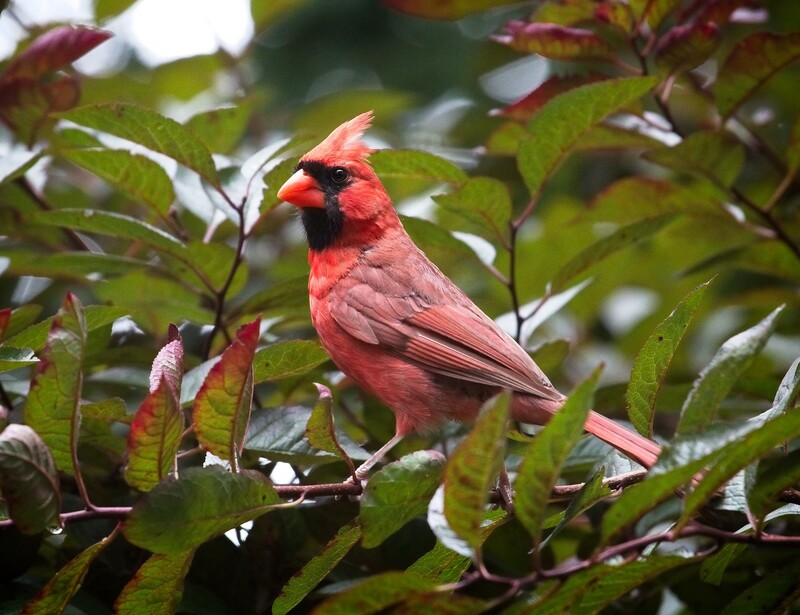 Northern Cardinal: This is a year-round resident, but I love the color he brings to the trees, especially in fall as the leaves begin to turn.